Every year at the famed Boston Marathon, you’ll find lots of red, white and blue. After all, it’s held on Patriots’ Day, a commemoration of the Revolutionary War battles at Lexington and Concord. Along the route, you’ll find American flags flying among a sea of Red Sox and Patriots logos worn by locals who come out to watch one of the richest traditions in a state full of them. As runners near the end of their punishing journey, they pass the famous Citgo Sign in Kenmore Square, a red, white and blue fixture in the city’s landscape for more than 50 years. When they ultimately cross the finish line, runners American and otherwise often wrap themselves in Old Glory to mark their achievements. Some carry it the entire 26.2 miles. This year, there is a new addition to the sea of red, white and blue on Marathon Monday – the USO logo. Three Team USO runners – Army spouse Jacqilyn Edwards, Army Lt. Col. Krisha Andrews and Army Lt. Col. Jason Hearn – are traveling from near and far to run the Boston Marathon to support the USO. Earning an opportunity to run in one of the world’s best-known road races is a dream come true for our team members and they are proud to represent the USO. On April 16, when these three accomplished runners trek through the western suburbs of Boston, up Heartbreak Hill at Mile 20 and through the streets of Boston, they’ll have a force behind them. But before they embark on the run of a lifetime, you can get to know the athletes who were selected to be members of the first USO team to run the world’s oldest annual marathon. Current residence: Hanscom Air Force Base, Mass. Military connection: Army spouse for more than 21 years. Why are you running to help support the USO? As a proud Army spouse, supporter of the USO and advocate of military families, I cannot imagine a more incredible platform to raise awareness for an organization with a very important mission to strengthen America’s military service members by keeping them connected to family, home and country, throughout their service to the nation. As a member of the first USO team running the Boston Marathon, I feel a personal responsibility to do everything I can to tell the incredible USO story and raise financial support. How long have you been running competitively? Since early childhood. How many miles do you try to run a day/week in preparation for the marathon? Approximately 30 miles a week, plus cross training. I also teach Zumba Fitness and Zumba Toning classes, as well as practice PiYo. I feel cross training is essential to overall strength, balance and health. What do you love about running? I love the sense of freedom, adventure, strength and resiliency that I gain when running. Even more so, I love that running has the unique ability to bring communities together for common good. How many marathons have you run before? 3: Honolulu, Kentucky Derby and Erie, Pa.
Show your support for Jackie Edwards and the USO by donating today. 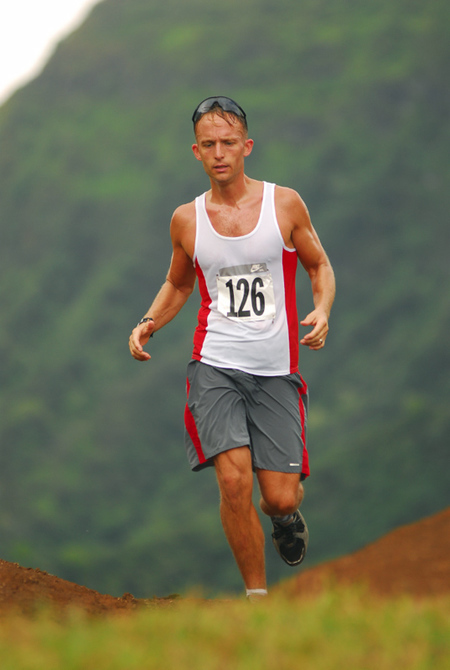 What do you consider the highlight(s) of your running career Personally completing the Hawaiian Ultra Running Team (HURT) 100k, qualifying for the Boston Marathon at the Erie Marathon and coaching for 11 seasons leading youth cross country, track/field and the Great Aloha Run Running Club. What time are you hoping to run in Boston? 3:40:00. What are you looking forward to most in the race? Representing the USO, running by the USO tent, the positive energy from the community and crossing the finish line! What will completing the Boston Marathon mean to you? I will have an immense sense of gratitude for an epic challenge and milestone accomplished for an incredible organization. Army Lt. Col. Krisha Andrews says she’s excited to run the Boston Marathon this year because running the storied race has been a personal dream of hers and because she’ll be representing the USO. Why are you running to support the USO? I am extremely excited to be given the chance to run the Boston Marathon this year, not only because running Boston has been a personal dream of mine, but also because I will be representing the USO. This organization has been there for me, my comrades and their family members during deployments and other troop-supporting events. How long have you been running competitively? Since the age of 7. How many miles do you try to run a week in preparation for the marathon? 20-30 miles. What do you love about running? I love running, first, because I truly enjoy the runner’s high and second, because it is a great stress reliever. Donate today to help Lt. Col. Krisha Andrews reach her fundraising finish line. How many full marathons have you run before? 5: Honolulu x2, Outer Banks, N.C., Richmond, Va., Bi-Lo (Myrtle Beach, S.C.). What do you consider the highlight of your running career? Running the Boston Marathon for Team USO! What time are you hoping to run in Boston? 4:15:00. What are you looking forward to most in the race? To be a part of one of the most prestigious marathons in the world and to be on Team USO representing such a great organization. What will completing the Boston Marathon mean to you? It is a dream of mine and will be one of the best accomplishments of my life. Why are you running to support the USO? I believe that all my military family and friends, past and present, will agree with me that the USO has been a wonderful organization supporting the military around the world. From a warm, comfortable and friendly place to pass time between flights – especially when those flights were heading to far off and dangerous destinations – to providing shows and programs that brought a touch of home to us when we were deployed to those far-off lands. The USO has been there for us, and I have recently been provided the opportunity to be there for the USO. How many miles do you try to run a day/week in preparation for the marathon? It fluctuates, but this week is 35 miles as I have a 20'er this weekend. Minimum of 25 each week. What do you love about running? I love that running is in the here and now. It is simple, you just go. You are out there, sometimes for hours, tackling hills, enjoying the scenery, sorting through your thoughts, clearing your mind and improving your physical, mental and, at times, spiritual health. 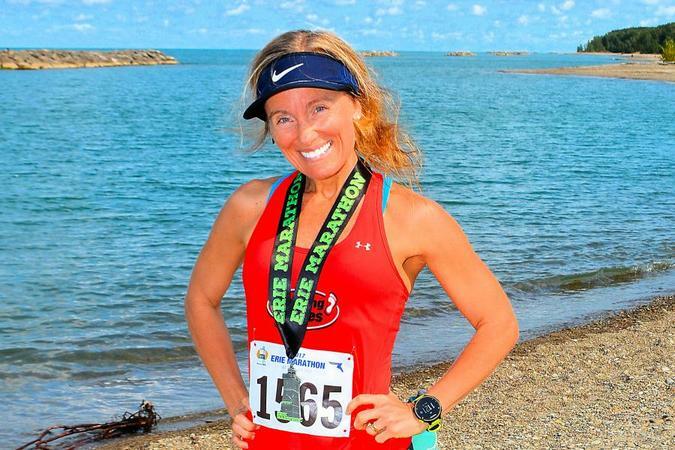 How many full marathons have you run before? 2: Honolulu in December 2012, Las Vegas in November of 2014. I’ve also run 30-plus half marathons on road and trail. Lt. Col. Jason Hearn is running 26.2 miles to support our military – all you have to do is donate today to show your gratitude. What do you consider the highlight of your running career? Sometimes a training run can be more rewarding than an actual race. This Christmas we were in the San Diego area and I did two long 14 and 15-mile training runs up the Pacific Coast Highway in the beautiful sun and watched the surfers and beach volleyball players as I ran by. That was a recent highlight. Finishing the Las Vegas Marathon with my wife, with both of us coming it at 3:53, was another race highlight. That race starts in the evening and you run 13 miles out into the desert and then come back into the Vegas strip with all the lights and the cheering Vegas crowd! What time are you hoping to run in Boston? 4:00:00. What are you looking forward to most in the race? Being part of The Spirit of THE Boston Marathon on Patriots’ Day, all while helping the organization that does so much for the U.S. military. What will completing the Boston Marathon mean to you? I have never targeted the Boston Marathon as one that I would actually be able to run in. Being part of an active-duty, dual military family with three extremely active, athletic soccer-playing kids kind of limits the time you have to train for any marathon – especially training for a qualifying time and then the actual Boston Marathon. So being able to be a part of this marathon and its storied tradition is a dream come true. Being able to run for the USO adds so much more to an already phenomenal experience.